"Gillette® On Demand™’s as-needed ordering capabilities and its convenient subscription options give guys smart choices, not trade-offs. This new service puts them in control without having to choose between convenience and flexibility, or between great quality and value"
TORONTO--(BUSINESS WIRE)--Gillette is introducing their new online direct-to-consumer service, Gillette® On Demand™ in Canada and has already began receiving orders. This new service available to Canadians nationwide improves the traditional subscription-only option by offering an additional flexible on-demand purchase option. The creation of this new service and its features is fueled by the understanding that accessibility, shopping experience, and value are every bit as important to men as quality and product innovation. Extensive research with Gillette’s own customers and among men broadly uncovered clear opportunities to improve the subscription-only approach: more flexible purchase options, and enhanced value for Gillette’s high quality blades. A 2015 Nielsen Homescan study for example found that 41% of guys who decided to leave traditional shave clubs said they were getting more blades than they needed. That frustration is a thing of the past as Gillette® On Demand™ allows subscribers to choose the quantity and frequency of each delivery. Not a subscriber? No problem. 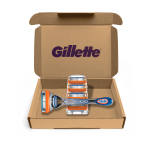 Gillette On Demand offers one-time ordering options to round out its flexible options. “Gillette® On Demand™’s as-needed ordering capabilities and its convenient subscription options give guys smart choices, not trade-offs. This new service puts them in control without having to choose between convenience and flexibility, or between great quality and value,” said Jennifer Seiler, Brand Director, Gillette Canada. Knowing how important value is to men, the service will include a range of razor options at different price points so men can enjoy the high-quality shave they deserve at a price they’ll be pleasantly surprised by. Guys who choose to subscribe will benefit from the added value of receiving every 4th order free1. Flexibility: Having a choice between buying as-needed or scheduled deliveries gives men the flexibility that many of them have asked for. 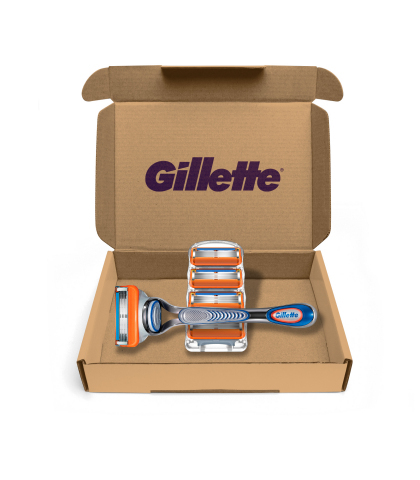 Ease of Ordering: The new Gillette® On Demand™ service lets guys quickly order and reorder blades on-demand using a new website. It’s that simple. Customization: For subscription orders, customers have the flexibility to fully customize a delivery schedule that meets their unique grooming style. Guys can opt to auto-set a delivery that arrives at any cadence they choose – and it can be changed or canceled at any time. Gillette® On Demand™ marks the company’s first direct-to-consumer service in Canada, delivering the company’s highest quality blades straight from Gillette facilities to men’s doorsteps in about 2-7 business days. But what makes a blade “the best” varies from guy to guy – that’s why Gillette On Demand makes a wide range of products available at price points men will be pleasantly surprised by. For subscription customers taking advantage of the 4th order free2 offer, these prices just get better. For a customer receiving quarterly deliveries of MACH3® Turbo blades will pay an average of less than $2 per month a blade2 within his first 4 orders of Gillette® On Demand™ (vs. 4 as-needed orders). To get more information and sign up for the new Gillette® On Demand™, visit ondemand.gillette.ca. For over 110 years, Gillette has delivered precision technology and unrivalled product performance – improving the lives of over 750 million men around the world. From shaving and body grooming, to skin care and sweat protection, Gillette offers a wide variety of products including razors, shave gel (gels, foams and creams), skin care, after shaves, antiperspirants, deodorants and body wash. For more information and the latest news on Gillette, visit https://gillette.ca/. To see our full selection of products, visit https://gillette.ca/en-ca/products. P&G serves consumers around the world with one of the strongest portfolios of trusted, quality, leadership brands, including Always®, Ambi Pur®, Ariel®, Bounty®, Charmin®, Crest®, Dawn®, Downy®, Fairy®, Febreze®, Gain®, Gillette®, Head & Shoulders®, Lenor®, Olay®, Oral-B®, Pampers®, Pantene®, SK-II®, Tide®, Vicks®, and Whisper®. The P&G community includes operations in approximately 70 countries worldwide. Visit http://www.pg.com for the latest news and information about P&G and its brands. 1 Credit applies to every 4th subscription order and will equal the lowest of previous 3 subscription orders (incl. taxes).